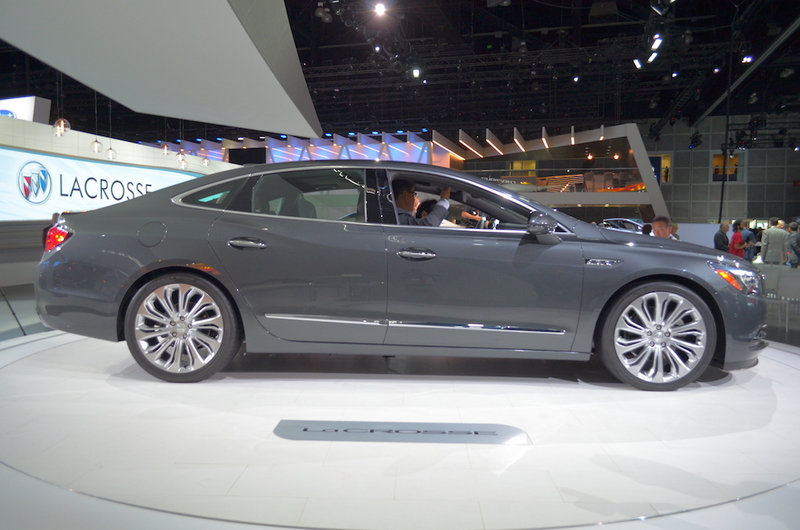 The 2017 Buick LaCrosse made its debut at the 2015 Los Angeles Auto Show. Set to arrive as a 2017 model year vehicle in the second or third quarters of 2016. 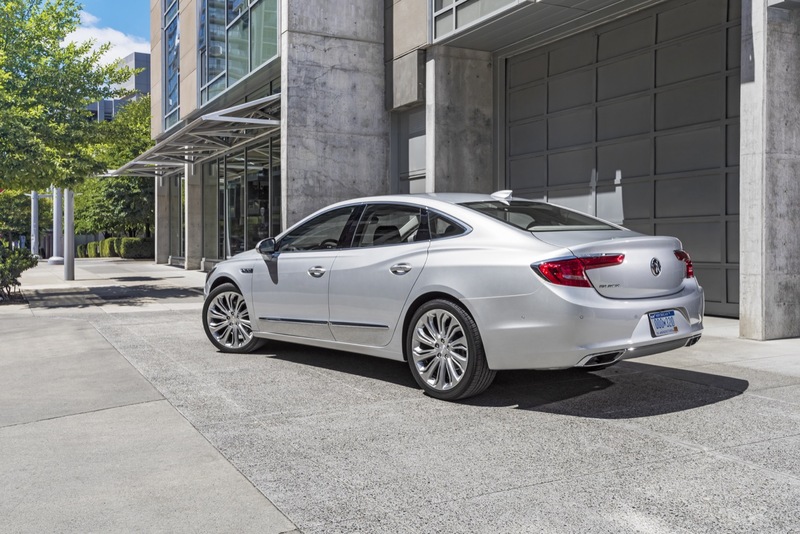 The full-size sedan is all-new (completely reengineered and redesigned) and represents the third generation of the LaCrosse nameplate that offers an “all-new design, sophisticated technologies, and more-responsive performance”, according to Buick. Related (Oceania): 2018 Holden Commodore"
The 2017 LaCrosse features all-new everything, from the exterior and interior to the powertrain, suspension, and in-vehicle technology. 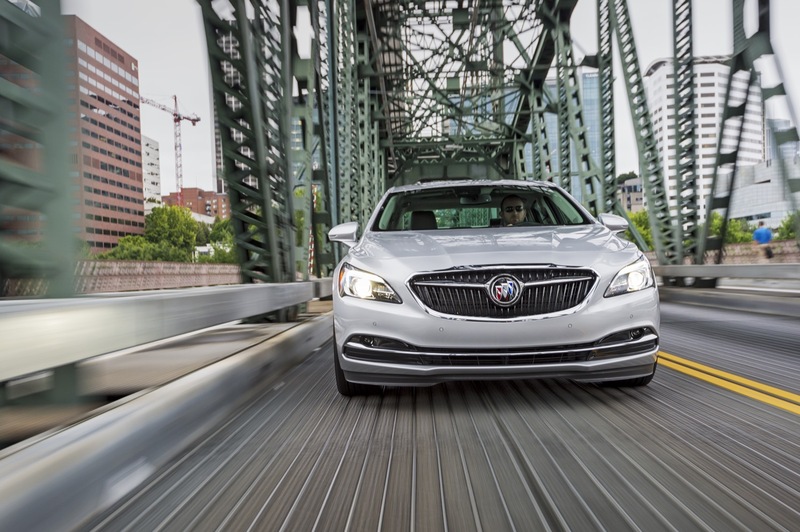 The 2017 LaCrosse arrives at a very opportune time for the Buick brand. It is widely believed that the second-generation Buick LaCrosse was developed during a time when General Motors was strapped for cash and product development funds, given that the vehicle was released in the months after GM’s emerged from Chapter 11 bankruptcy proceedings. 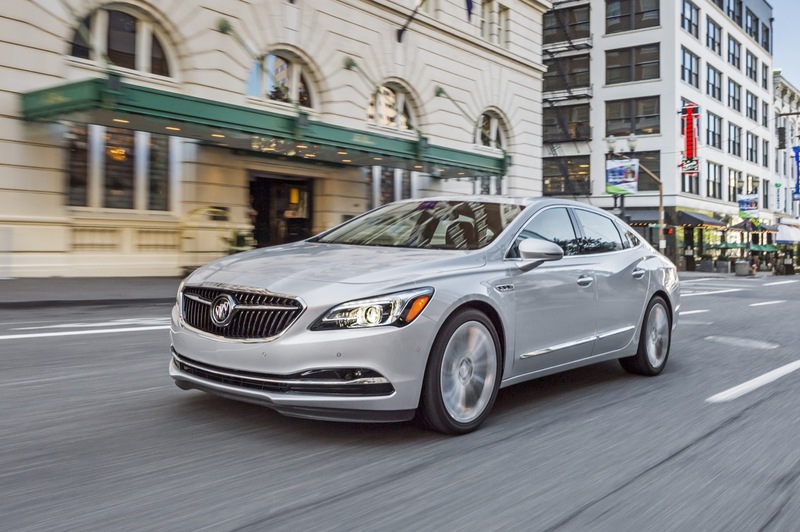 Though the second-gen LaCrosse was received to positive critical acclaim, it leaves various areas for improvement that the all-new model aims not only to address, but also to deliver a vehicle better than the competition. 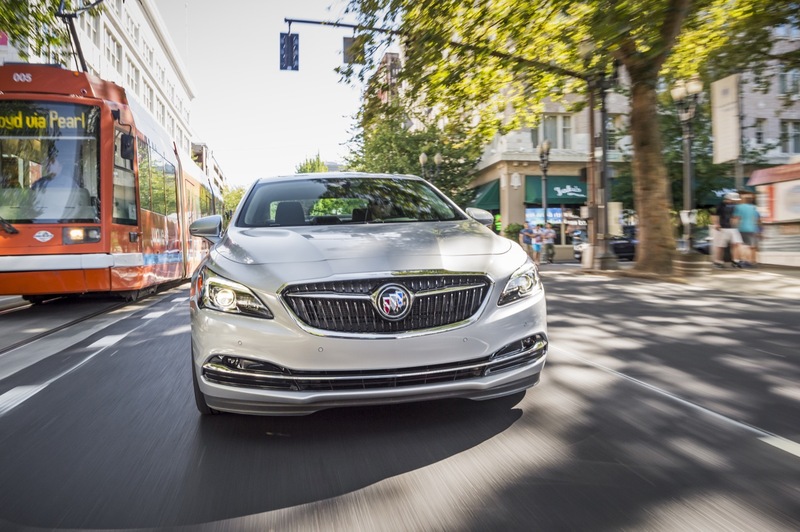 The all-new, 2017LaCrosse Introduces the new face of Buick, which is influenced by the dramatic cues of the award-winning Avenir concept. 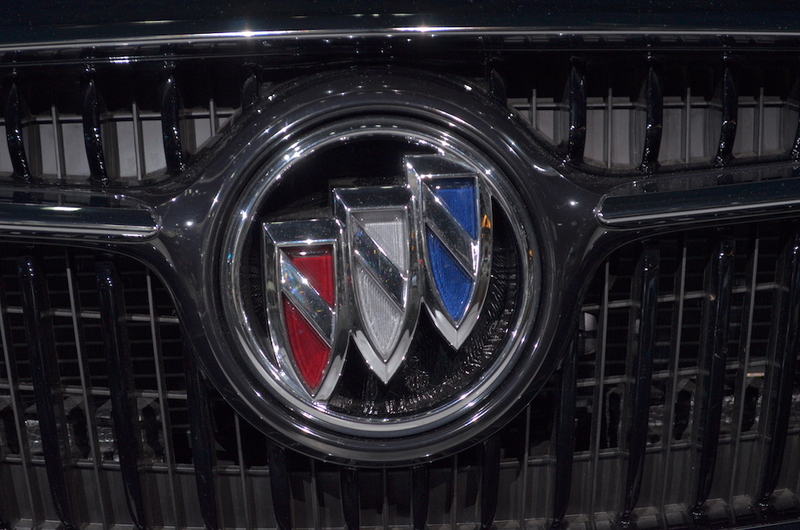 Notably, it features a new grille design with a large opening distinguished by the return of a three-color – red, silver and blue – Buick tri-shield insignia, accented by wing-shaped elements set against darkened waterfall grille bars. 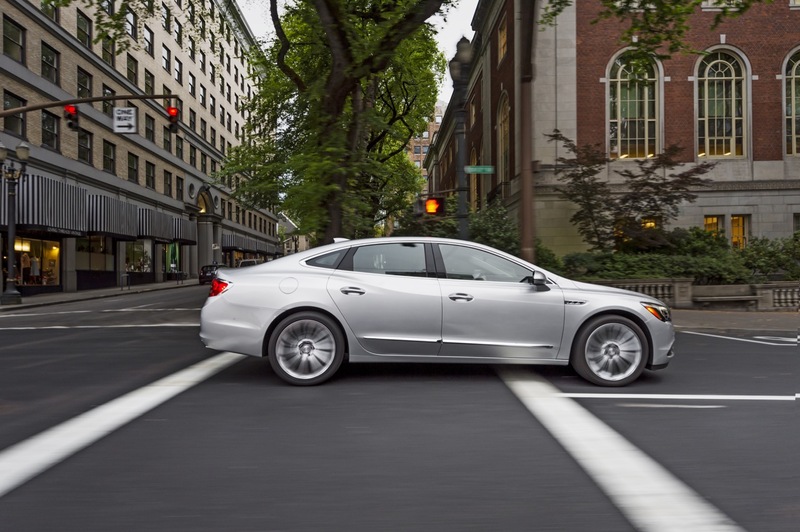 Longer, lower and wider than the current model, the 2017 LaCrosse is built on a stronger yet lighter structure. 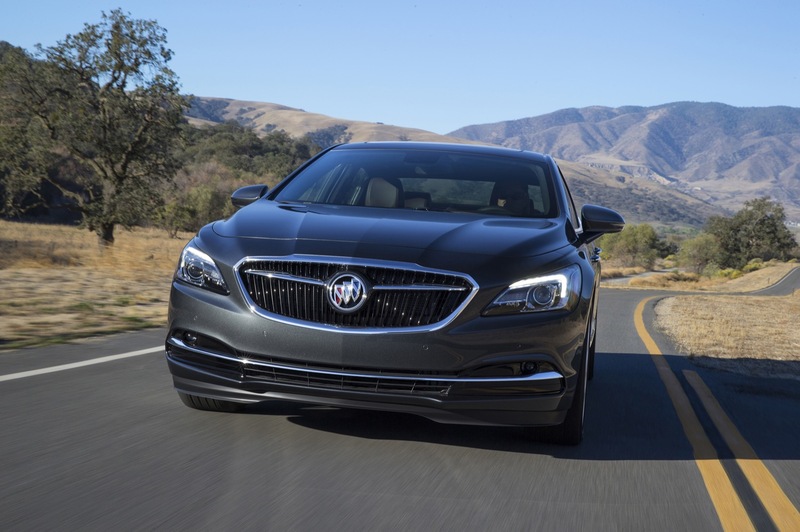 In fact, it is about 300 pounds lighter than the current LaCrosse – thanks largely to the use of press-hardened, high-strength steels – which contributes to greater efficiency and more responsive handling. 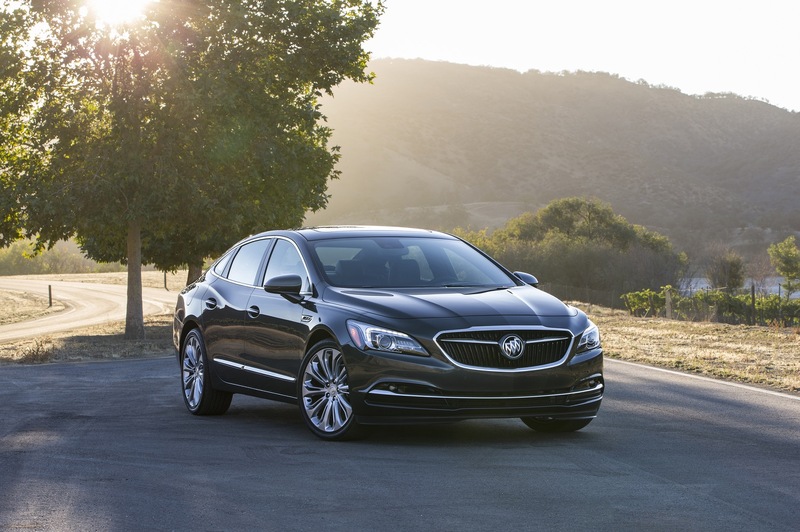 The new LaCrosse’s expressive exterior design creates a new proportion, rendering a more dramatic road presence. The front wheels have been pulled forward and the wheelbase stretched 2.7 inches (65 mm), while the overall length is only 0.6-inch longer (15 mm). The dynamic proportion is further enhanced by a roofline that’s 1.6 inches (40 mm) lower than the current model. The longer wheelbase is matched by wheels pushed outward 1.3 inches (33 mm) in the front and 1.1 inches (28 mm) in the rear, while the car’s width has grown only 0.4-inch (10 mm), creating a wheels-at-corners stance that conveys road confidence. 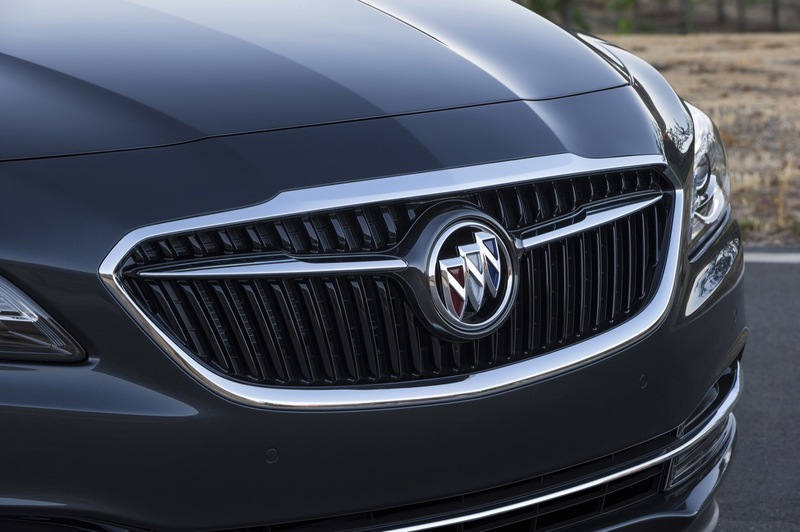 LaCrosse’s new proportion is further complemented by an all-new grille that signals the next chapter in Buick’s design anthology. Inspired by the Avenir concept, it’s distinguished by a new, three-color tri-shield insignia set on a wing-shaped element. 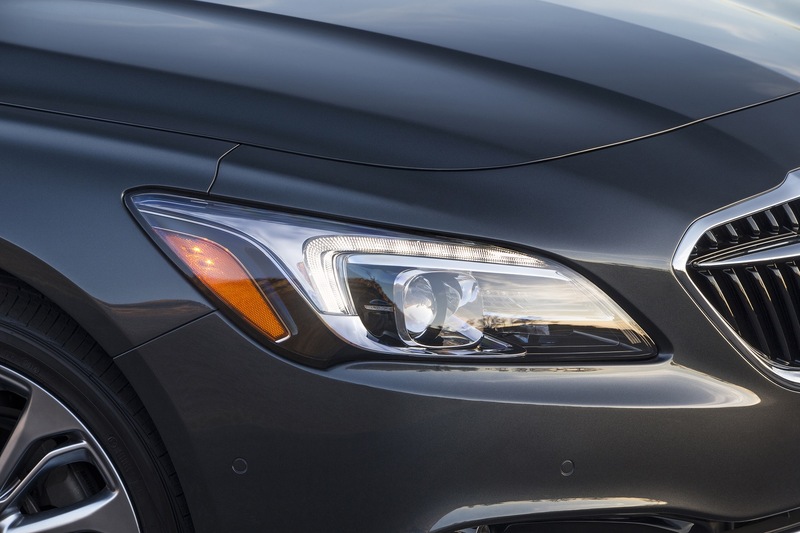 Contrasting with darkened waterfall grille bars and spanning the width of the opening, it connects the grille and headlamps, and emphasizes LaCrosse’s new sculptural surfacing. The design was introduced on the Avenir concept and was inspired by the 1954 Wildcat II concept. 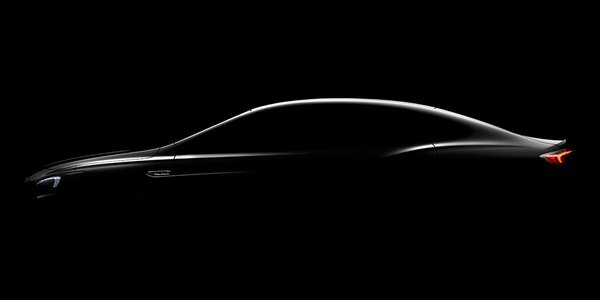 The signature sweepspear body-side design element has been reinterpreted in a modern fashion, enhancing the car’s sculptural identity. It has a split design that gives the body side a greater perception of depth, while picking up additional body lines, for an elegant, uninterrupted flow from the front fenders to the rear. 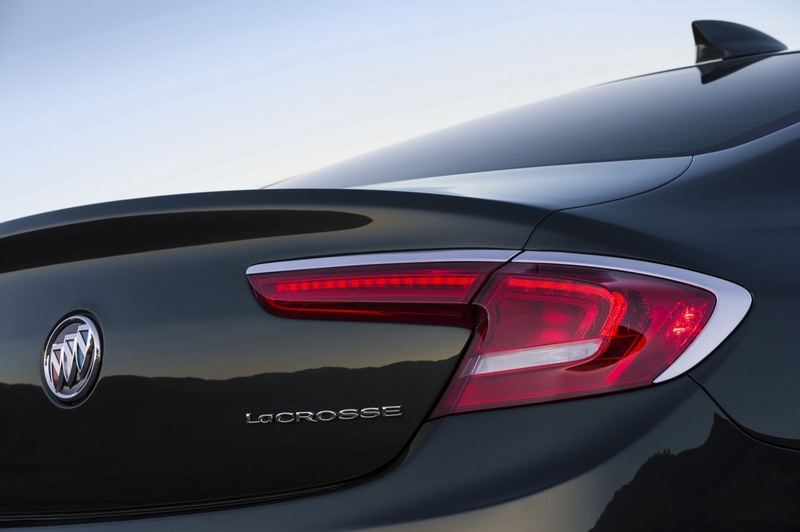 The 2017 LaCrosse’s body lines are reinforced by a longer, uninterrupted “daylight opening” – the portion of the upper body between the A- and C-pillars. 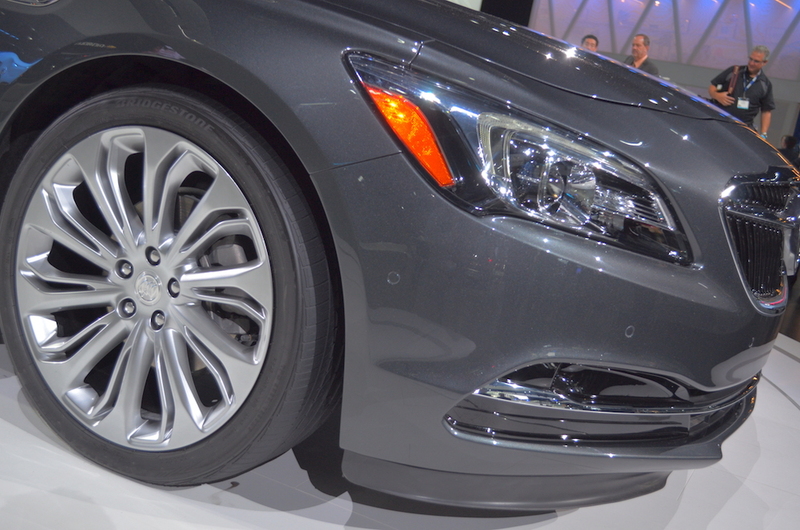 They’re ringed with chrome, which adds a tastefully restrained premium accent to the body side. Other details blend form and function such as outside mirrors mounted on pedestals on the doors rather than the corners of the front side windows. The design offers a greater field of view, while the mirror housings were shaped in the wind tunnel to help reduce wind noise. 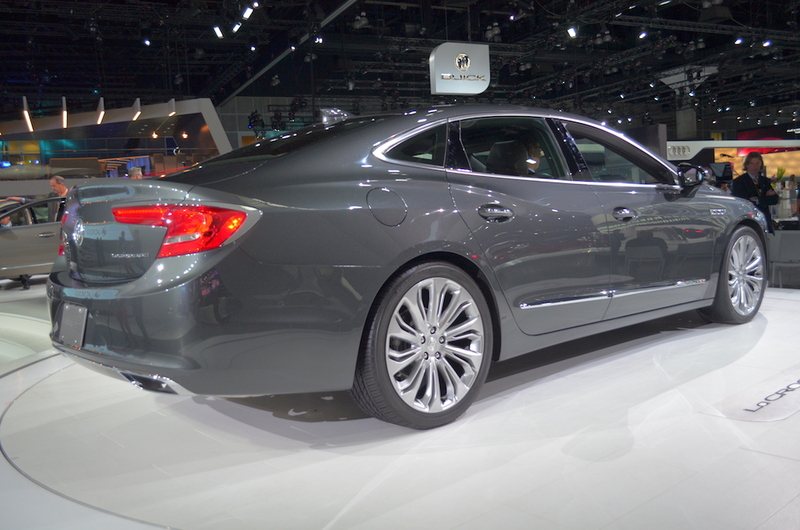 Aerodynamic considerations also drove the dynamic sweep of the decklid, which acts as a spoiler to optimize airflow over the LaCrosse, and the front of the car features deflectors in front of the tires to reduce drag. 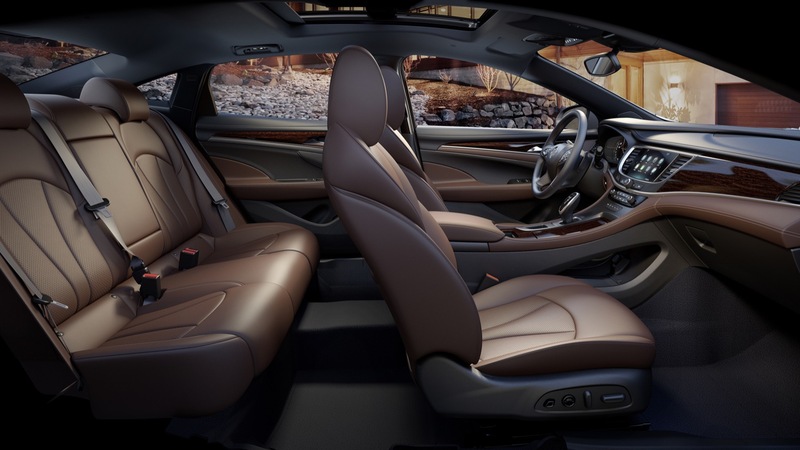 The new LaCrosse’s interior is designed to offer an open and inviting space for passengers – one that is relaxing, luxurious and well-connected. 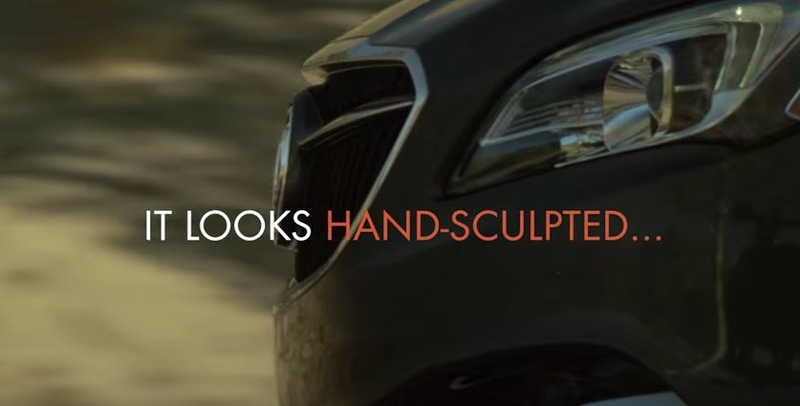 Sculpturally beautiful form and premium materials complement technologies developed for effortless interfacing. 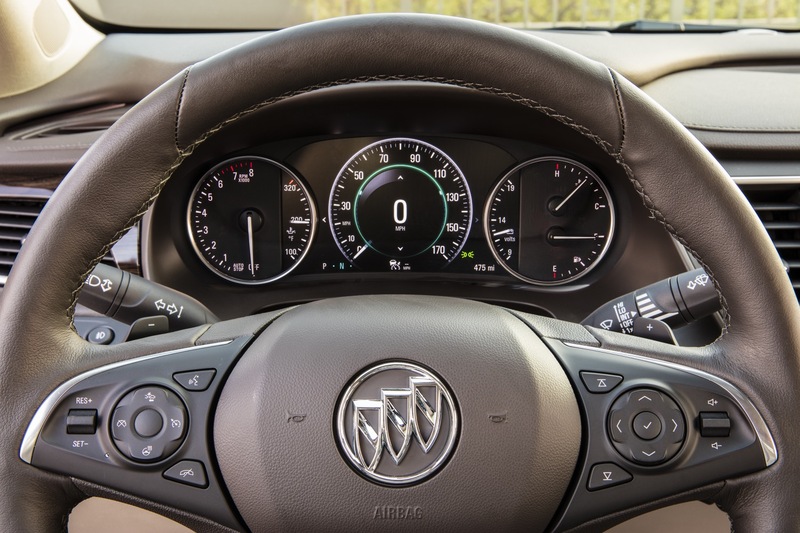 It is the first Buick with a new single cockpit design aesthetic, characterized by a horizontal form that sweeps across the instrument panel and into the doors. 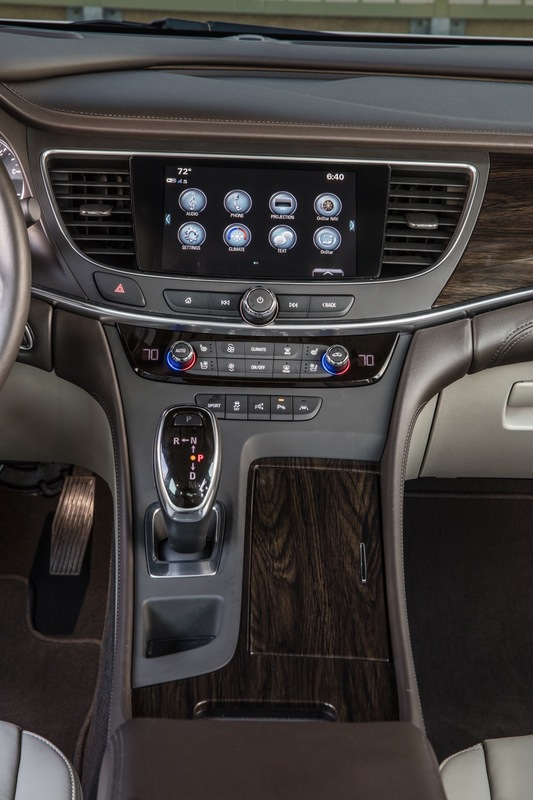 It also incorporates a “floating” center console that positions the controller for the new Electronic Precision Shift high and close to the driver, while creating storage space below the console for items such as a handbag or tablet. 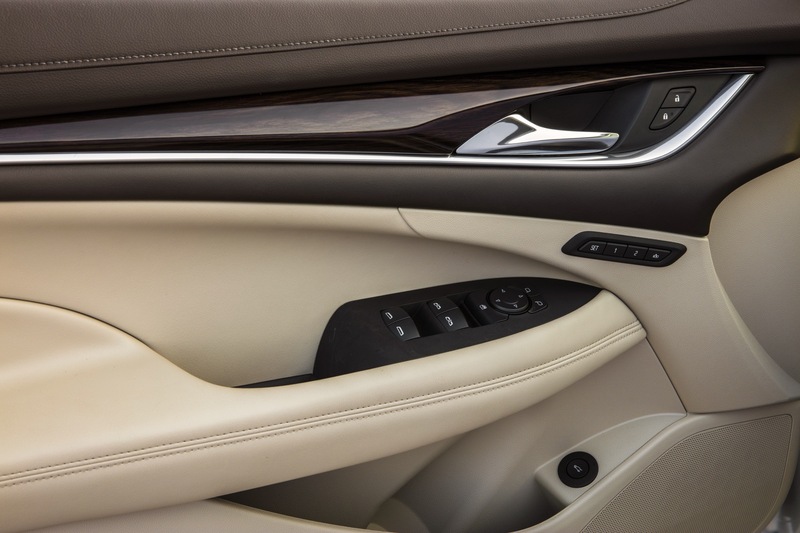 That attention to detail includes soft materials for virtually every touchpoint; real French stitching on the seats, instrument panel and more; and genuine aluminum sill plates and wood décor trim, depending on the model. It also offers greater, more practical storage space and easier access. 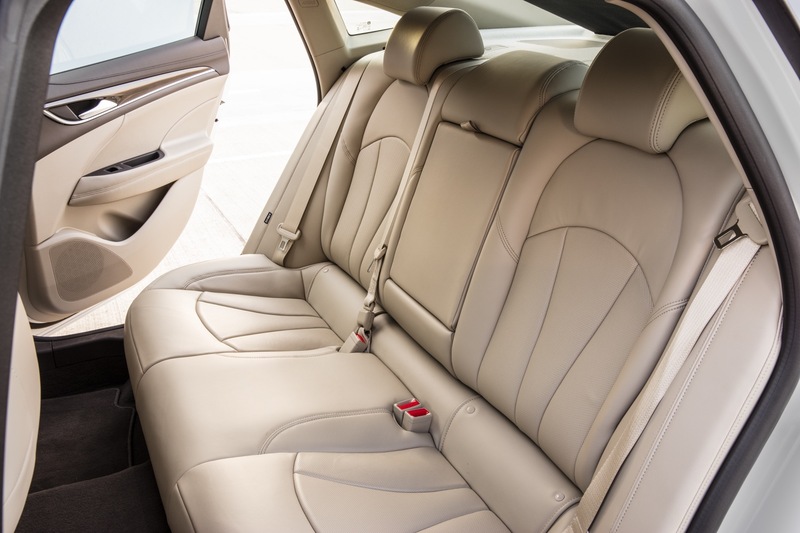 The rear doors, for example, open wider and offer easier entry/egress, and the trunk not only offers approximately 7 percent more storage space than the current model, but was configured to accommodate four golf bags. 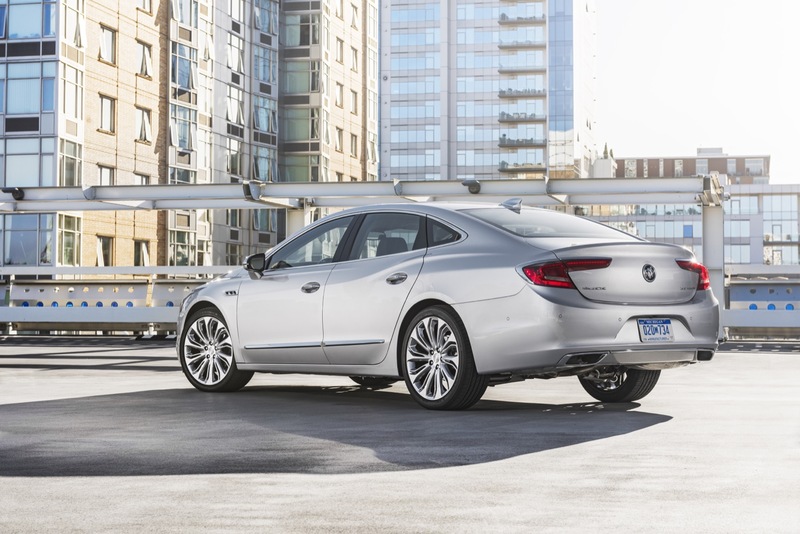 The new LaCrosse builds on the exemplary reputation of the current model – already a benchmark in the segment – to offer an even quieter driving experience that contributes to the car’s comfort and enjoyment. 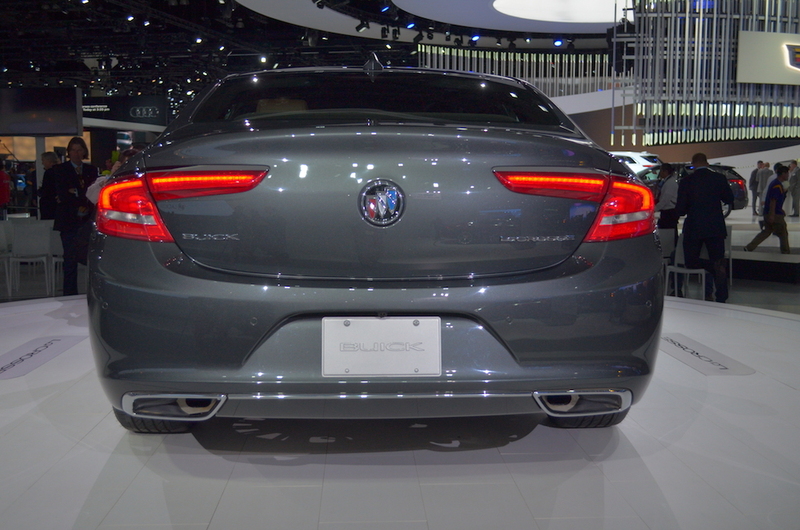 Significantly, the Buick QuietTuning team employed a dissipative approach to sound attenuation rather than the current model’s barrier system. That means the sound is absorbed primarily with a specialized, lightweight dissipative dash mat rather than heavier noise-blocking pads. 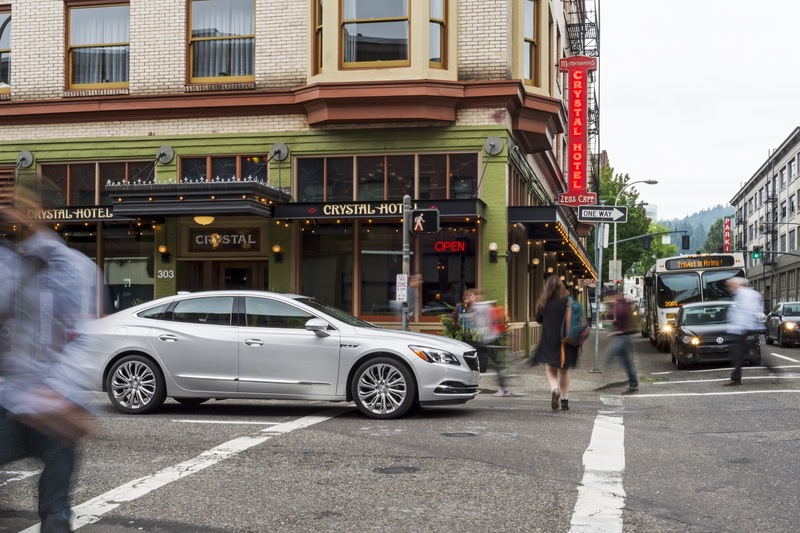 As one of the segment’s most technologically advanced vehicles, the new LaCrosse offers a host of communication and convenience features designed for effortless connectivity. The central technology is the latest edition of Buick IntelliLink, which is controlled by a new, frameless 8-inch-diagonal color touchscreen located at the center of an ergonomically optimized instrument panel. Along with the climate system and other features on the “center stack,” it was designed with fewer buttons and controls for more intuitive use. Phone integration technology is paired with IntelliLink and is designed to take phone features users would want to access while driving and put them on the 8-inch display via Apple CarPlay or Android Auto. The features allow customers to use select smartphone apps through the touchscreen interface. 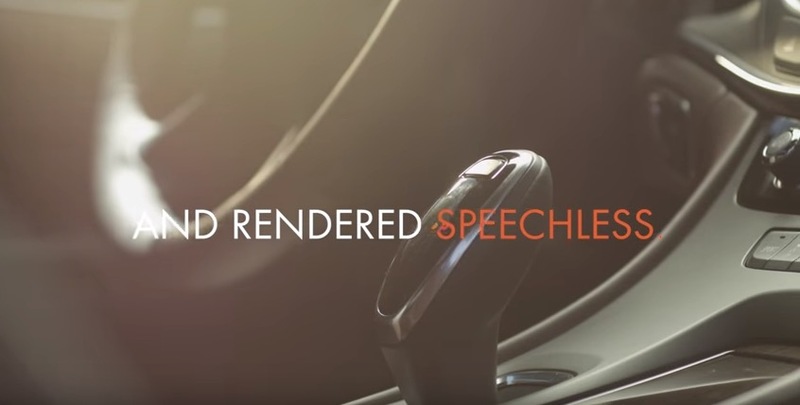 Many features can be controlled via voice commands through a button on the steering wheel, helping drivers keep their eyes on the road and hands on the wheel. All-new Electronic Precision Shift – Rather than a traditional shifter, gears are chosen and engaged via a simple toggle pull. It provides smooth, precise and responsive shifting while enabling added storage in the center console. Configurable, high-definition driver information center – Located in the center of the gauge cluster and flanked by round instrument binnacles, it has a large, 8-inch-diagonal full-color display. Head-up display – This available feature offers four page views: speed, audio, navigation and performance. 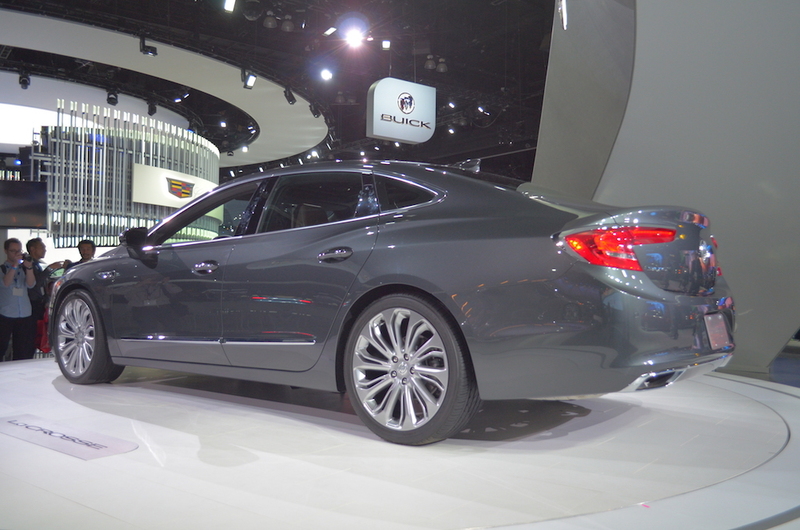 It also offers alerts for certain active safety features such as Lane Keep Assist and Forward Collision Alert. 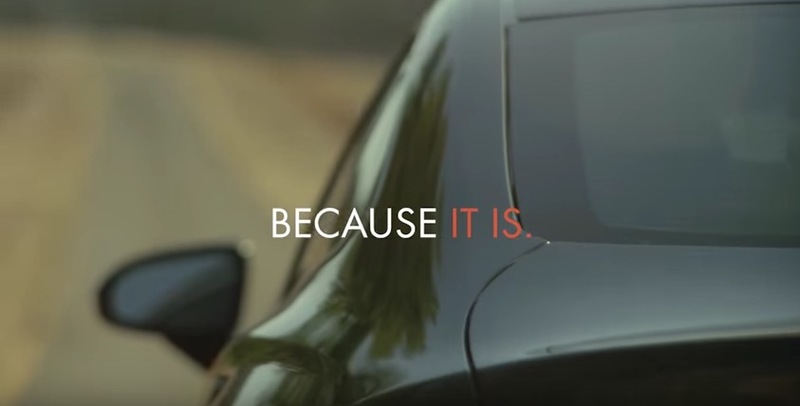 Available Teen Driver Technology – It encourages safe driving habits for new drivers by muting the audio or any device paired with the vehicle when front-seat occupants aren’t wearing their safety belts. It also provides audible and visual warnings when the vehicle is traveling over predetermined speeds – and offers a “report card” for parents. Wireless charging – When equipped with this available feature, the phone storage slot in the center console enables inductive charging without the need for plug-ins or cables. 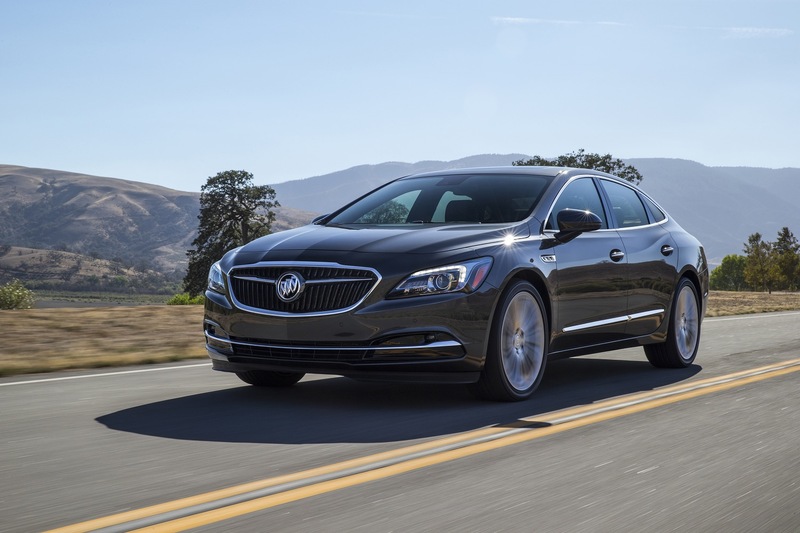 LaCrosse’s all-new 3.6L V6 engine with direct injection and dual overhead cams represents the second generation of GM’s acclaimed DOHC V6 engine family and incorporates new features such as Active Fuel Management (cylinder deactivation) and Stop/Start technology. 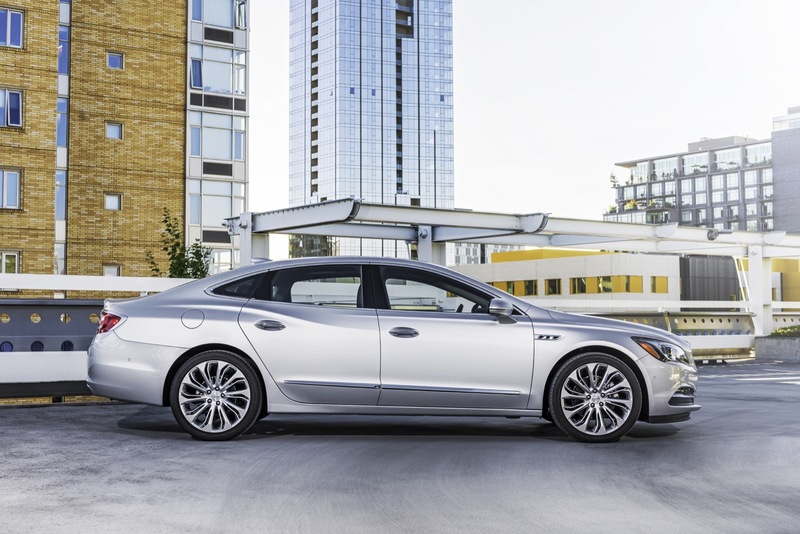 Active Fuel Management system temporarily deactivates two the 3.6L’s cylinders in light-load driving conditions to enhance fuel efficiency and seamlessly reactivates them when the driver demands full power. 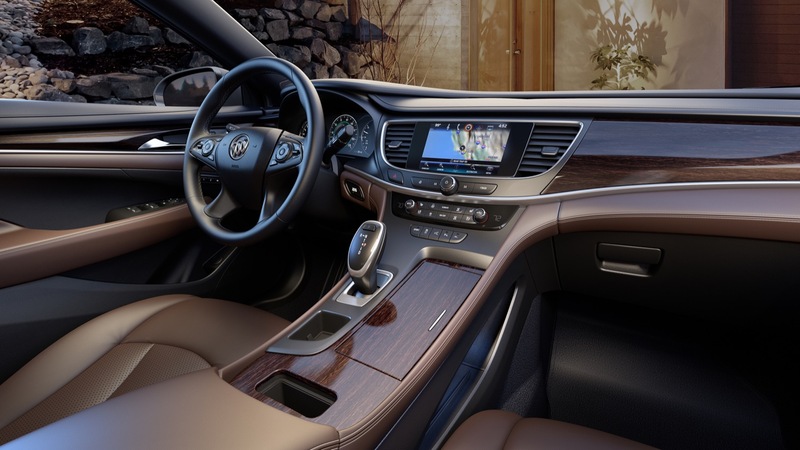 Additionally, noise-reducing features including an all-new cam drive system contribute to the vehicle’s benchmark quietness. The 3.6L is estimated at 305 horsepower (227 kW) and 268 pound-feet of torque (363 Nm); and it’s matched with a new eight-speed automatic transmission. 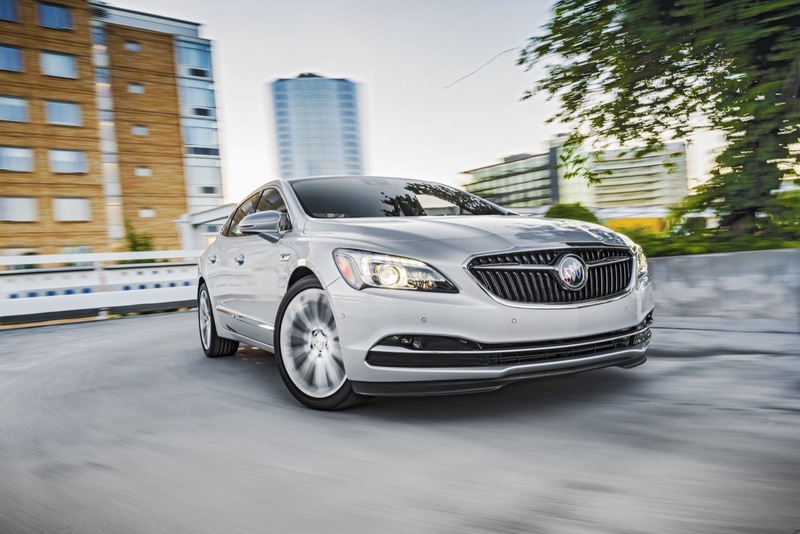 LaCrosse’s new twin-clutch AWD system offers the ultimate in grip in and control, with better performance during acceleration and cornering. It allows torque to be split between the rear wheels for optimal performance and the twin-clutch design uses independent clutch actuation to determine and control the amount of torque sent to each rear wheel. 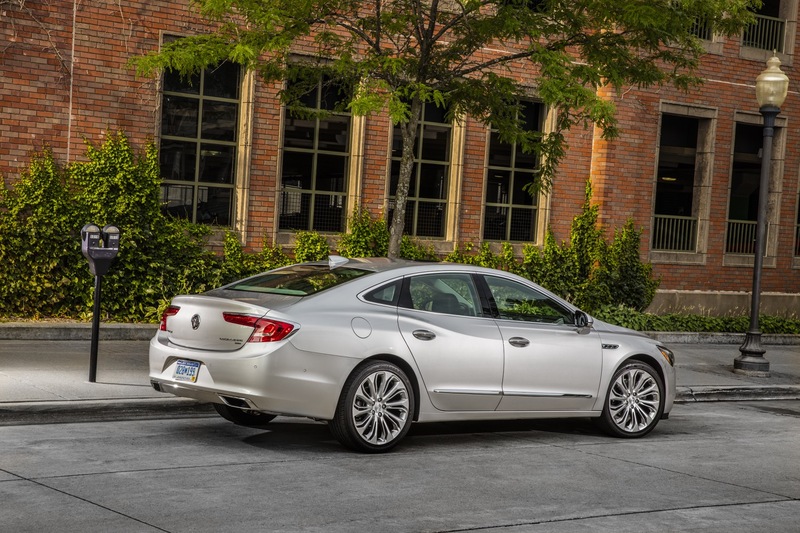 Thanks to its new, lighter and stiffer architecture – and a number of new and enhanced complementing technologies – the 2017 LaCrosse offers a driving experience that is as responsive and direct as it is quiet and comfortable. It also offers enhanced capability with Buick’s first twin-clutch all-wheel-drive system. 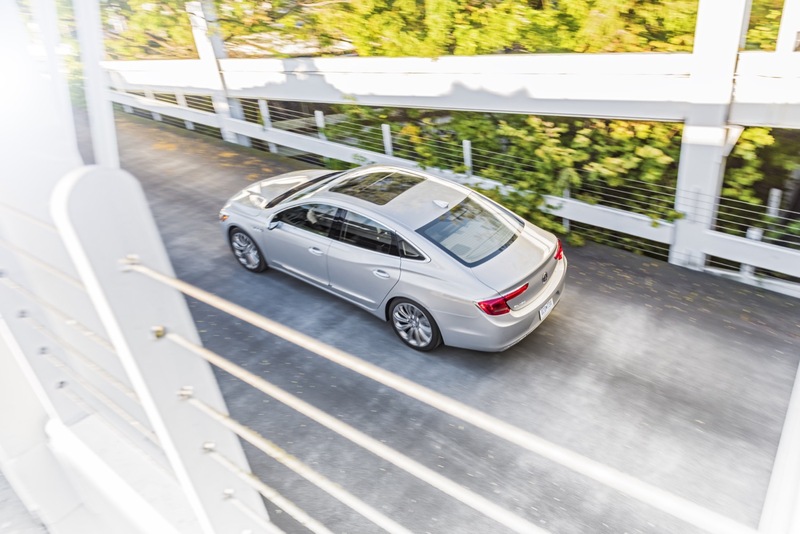 A new five-link rear suspension is the central component of the improved ride and handling characteristics. It helps reduces roll center motion, enables positive lateral control and promotes excellent dynamic stability. In short, it helps keep the tires planted on all surfaces – and contributes to a quieter ride through greater isolation from road noise. At the front, a MacPherson-strut suspension is standard and Buick’s HiPer Strut suspension is used on front-wheel-drive models with 20-inch wheels. It helps reduce torque steer and maintain negative camber during cornering, improving maximum grip in all road conditions. 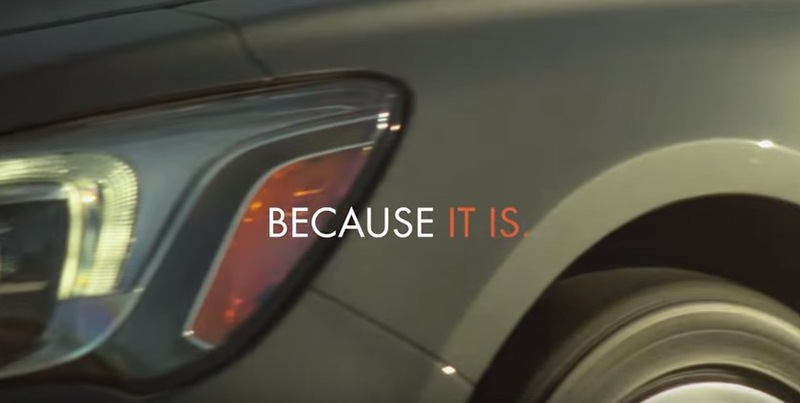 It also improves the direct feel of the vehicle, while isolating undesirable feedback. Available, electronically controlled Continuous Damping Control further optimizes ride comfort and handling capabilities over varying road surfaces and profiles. It’s an active suspension system that can adjust damping every two milliseconds, with Touring and Sport damping modes selected by the driver through the Electronic Precision Shift. 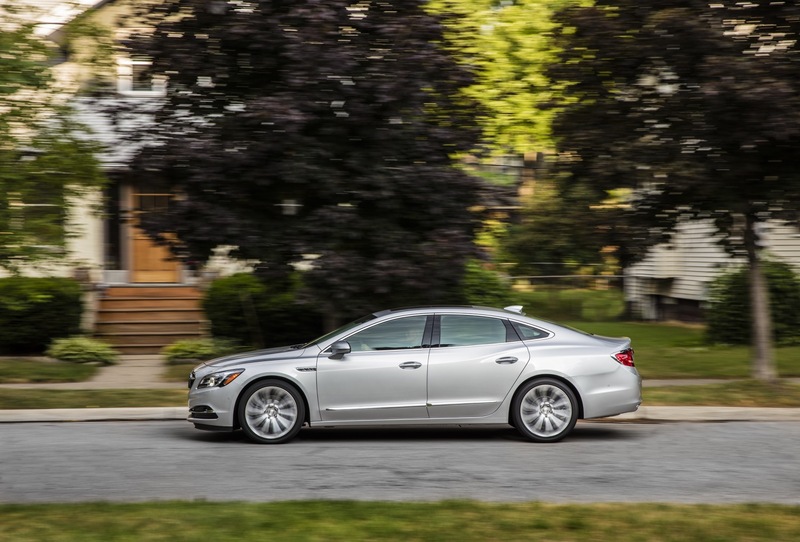 Also contributing to LaCrosse’s more-direct driving experience is an enhanced, rack-mounted electronic power steering system, which incorporates Lead-Pull Compensation. 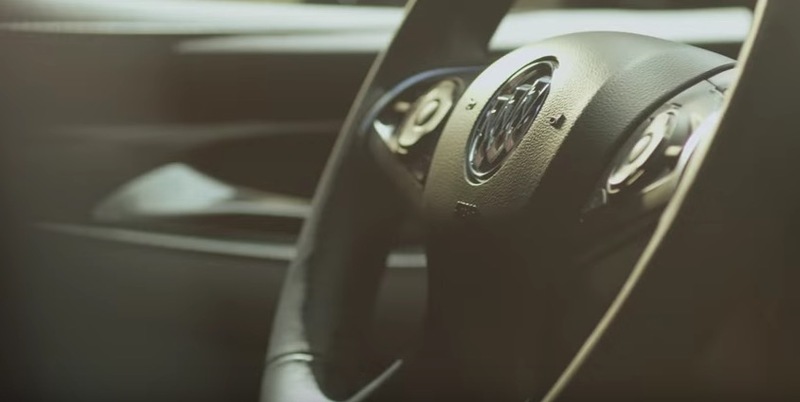 It automatically adjusts the steering angle to account for factors like crowned roads or high crosswinds. 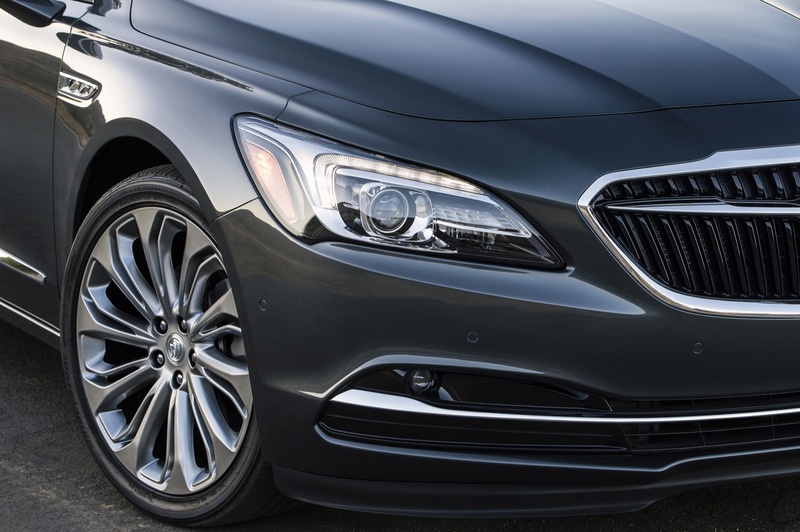 The 2017 Buick LaCrosse will use the larger and more premium variant of GM’s new E2XX platform. It was initially believed that the platform is called P2XX, but instead it is referred to as E2XX Super. 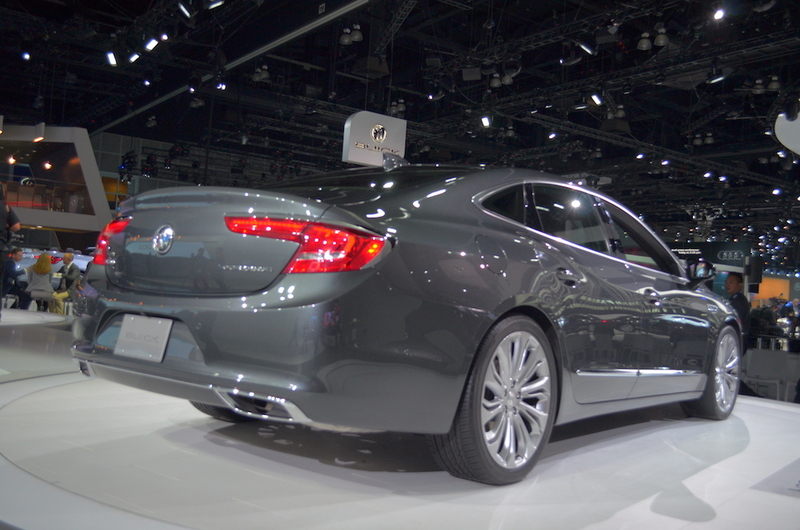 The architecture enables a significant weight savings compared to the Epsilon Super platform of the second-gen LaCrosse. 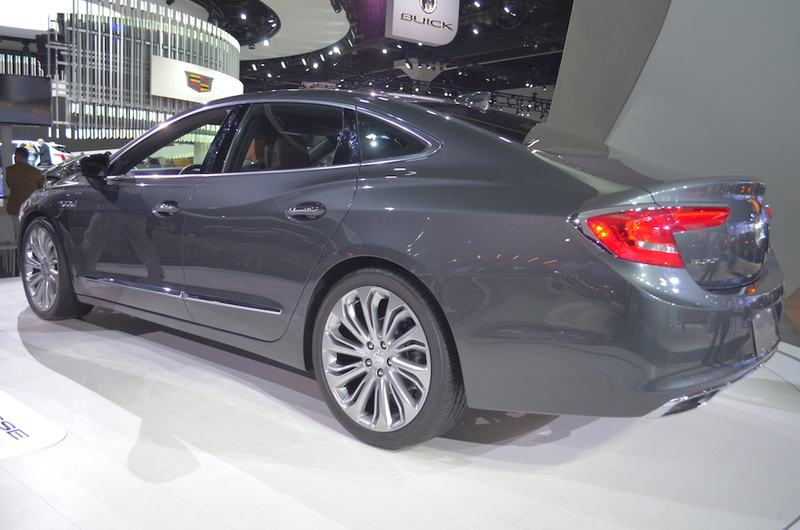 It is expected that the next-generation Chevrolet Impala will utilize the same platform. 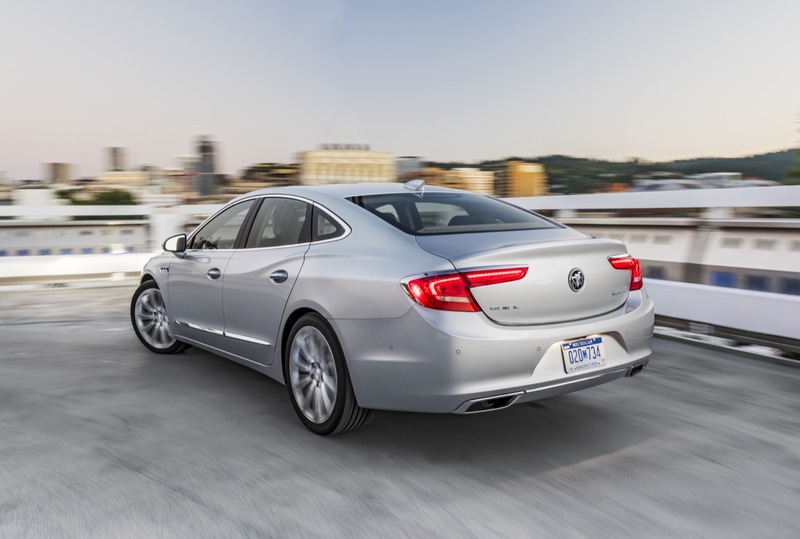 The 2017 Buick LaCrosse has a starting MSRP of $32,990, including a $925 destination freight charge. 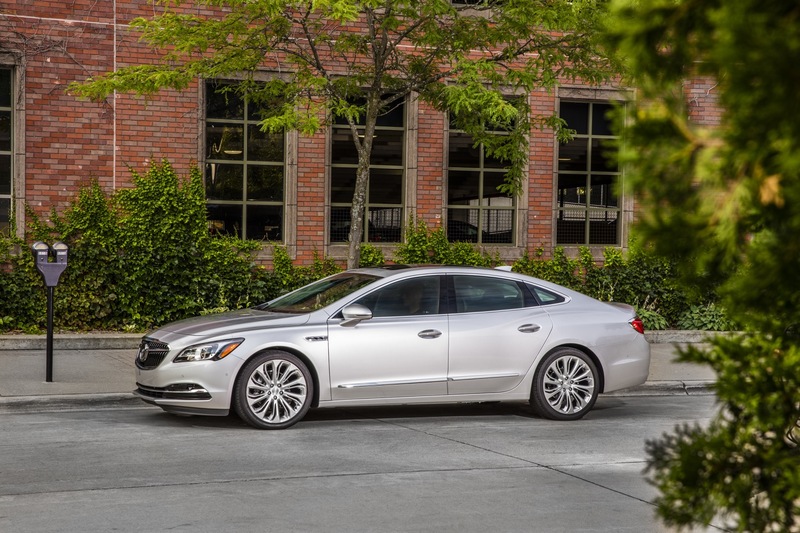 Trim level pricing for the 2017 LaCrosse is as follows. * Base MSRP prices include $925 destination charge. 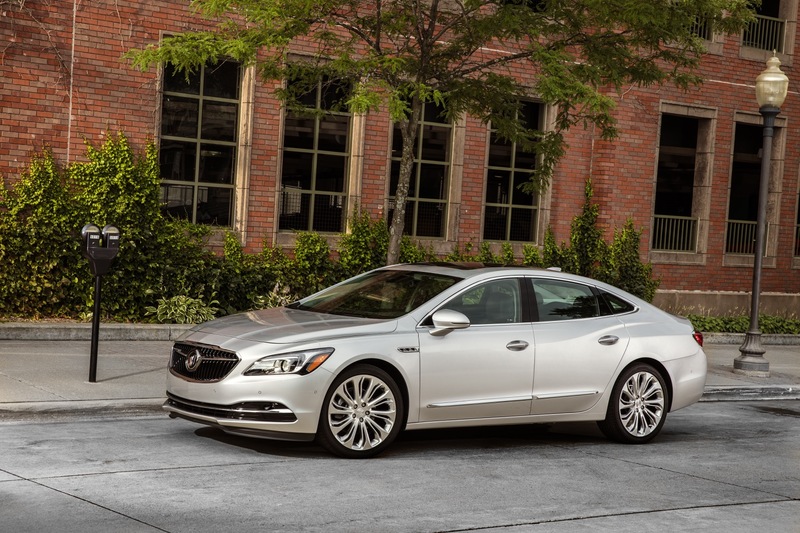 Complete details on 2017 Buick LaCrosse pricing and trim levels. 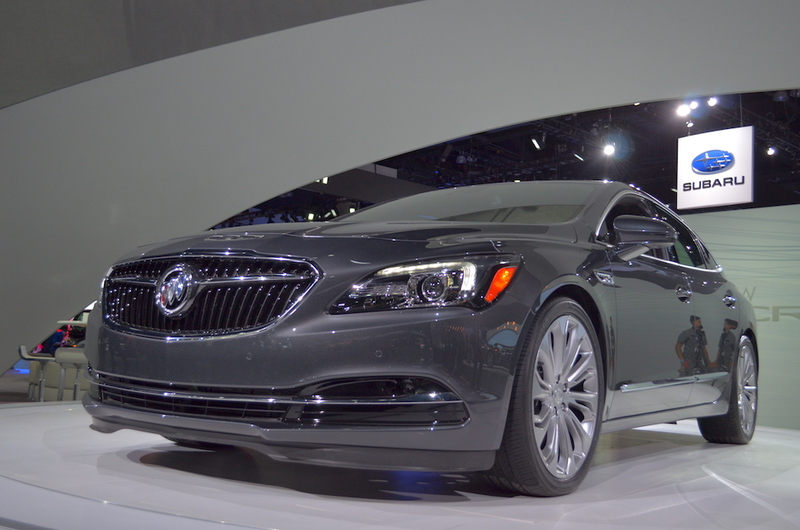 The 2017 Buick LaCrosse was unveiled on November 18th at the 2015 Los Angeles Auto Show. 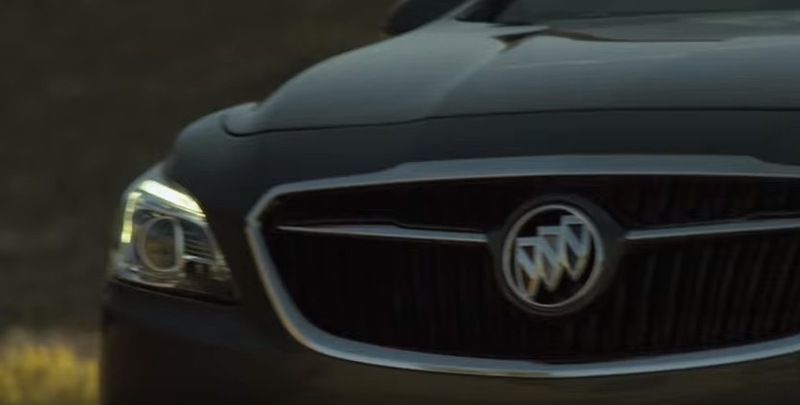 The 2017 Buick LaCrosse will be available in all markets where GM markets the Buick brand. Currently, these include North America and China. It’s also possible that a version of the 2017 Buick LaCrosse will also be available in Europe as an Opel and Vauxhall. 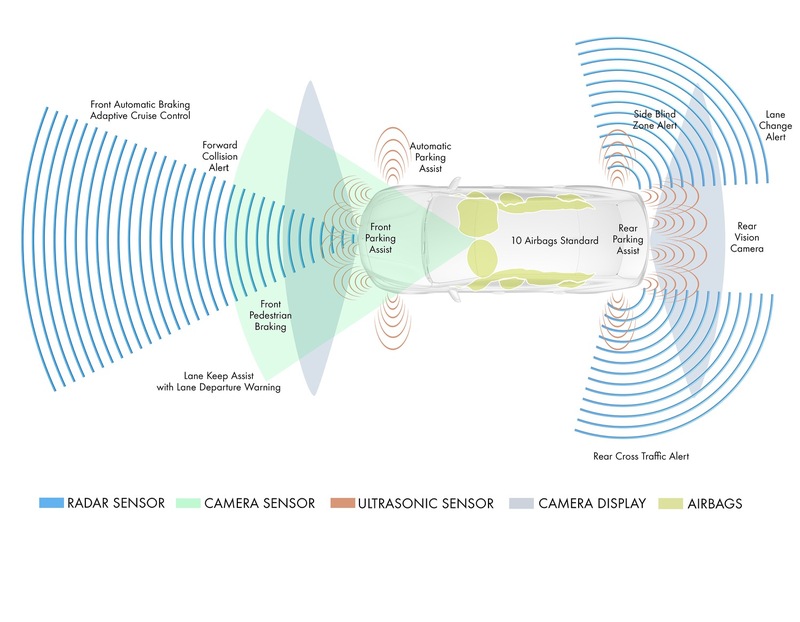 If this is the case, then the vehicle will slot above the Opel Insignia. 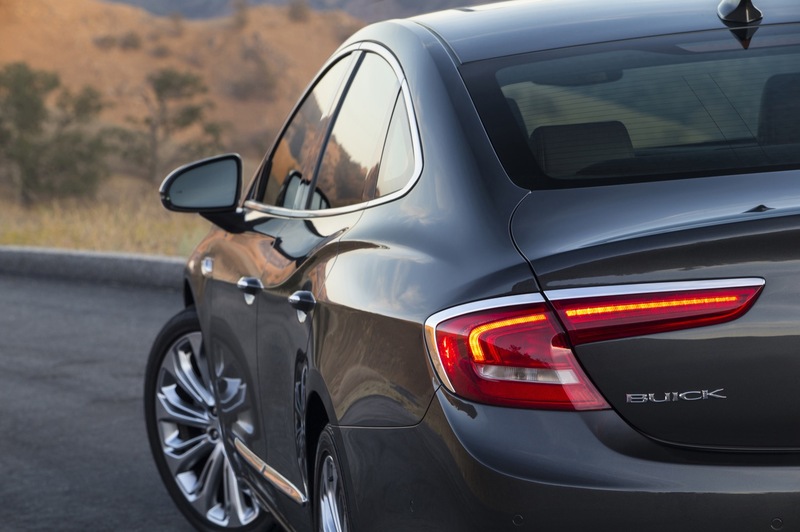 The 2017 Buick LaCrosse will arrive at dealers across the U.S. in the timeframe of September of 2016. 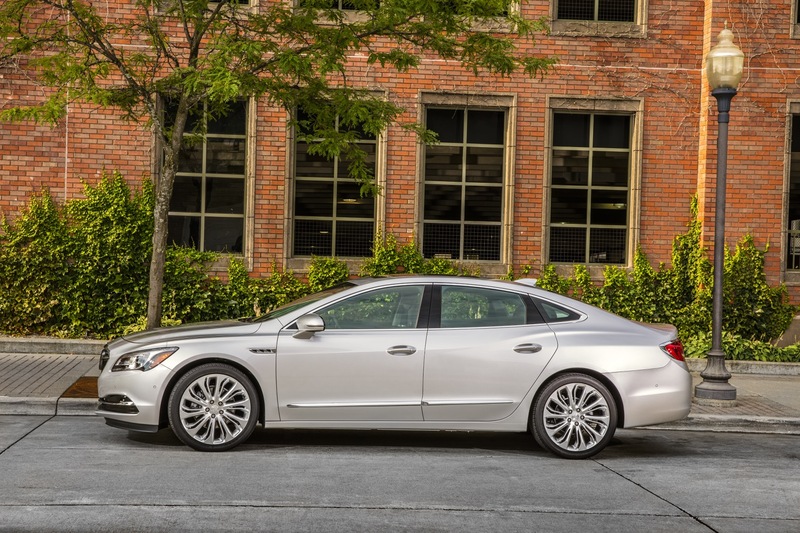 Check out the 2017 Buick LaCrosse order guide (PDF format). 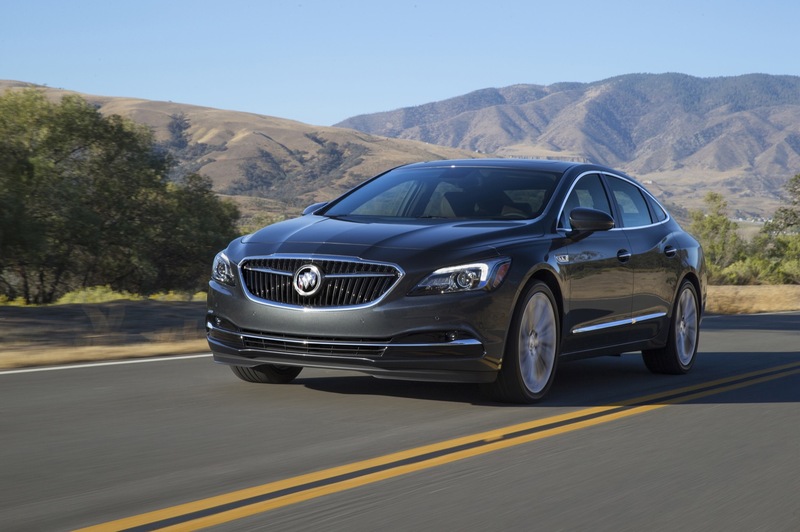 The 2017 Buick LaCrosse will be produced at GM’s Detroit-Hamtramck plant in Michigan for the North American market. 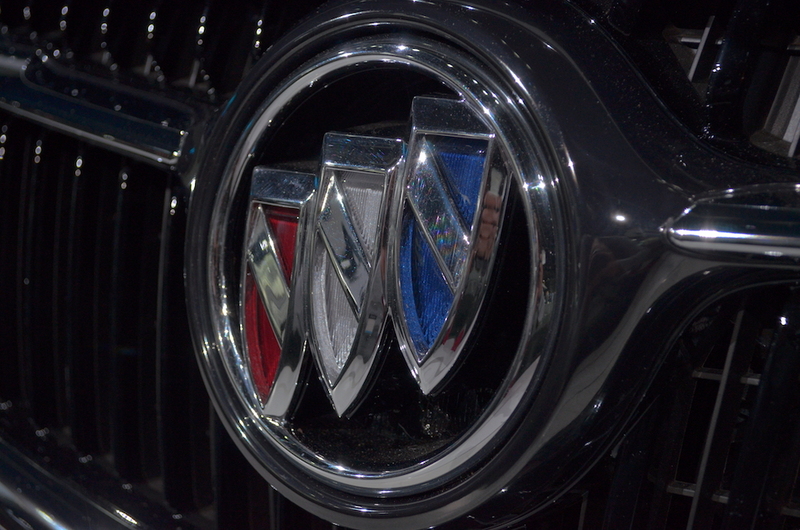 A plant in China produces the LaCrosse for the Chinese domestic market. In September 2015, Buick confirmed confirmed that the all-new 2017 LaCrosse will debut at the 2015 Los Angeles Auto Show in November 2015. 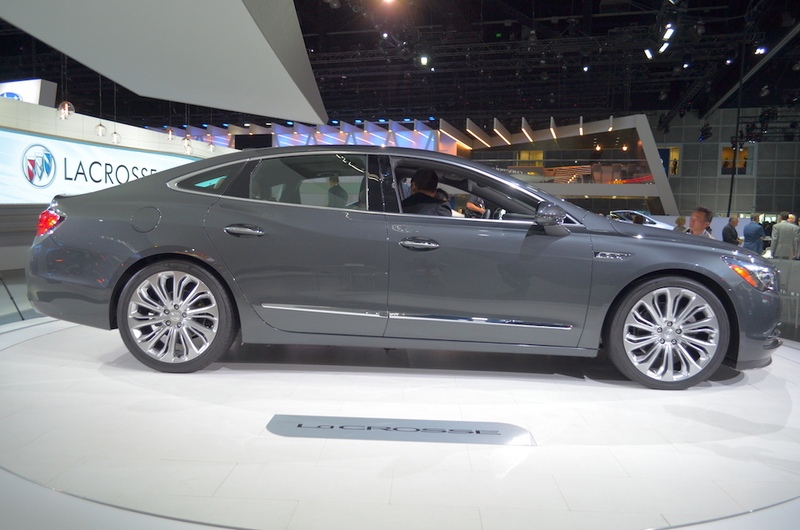 Buick says that the design was introduced on the Avenir concept, itself inspired by the 1954 Wildcat II concept. 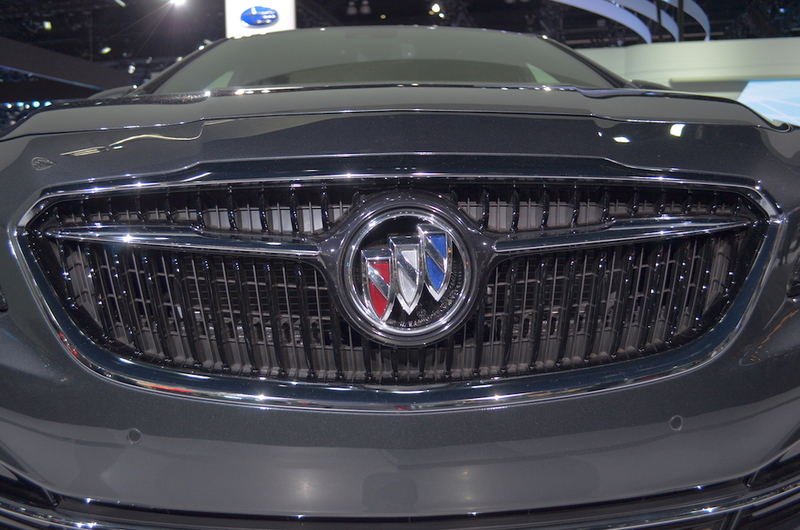 “It’s a face all Buick models will adopt by 2018”, says Buick. 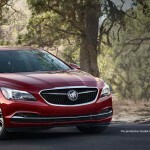 Following are preliminary 2017 Buick LaCrosse specifications.